Since I’ve started promoting it, I’ve been finding out that there are lots of writers and published authors around. In fact, just last night, a friend who’s coming to my book party this Sunday told me about 2 of her friends who are authors. I linked them online and downloaded their books too. I had a chance to read her debut novel (Sheltering Rain, published in 2002) as well as her most recent novel, After You – the sequel to Me Before You. I love to see how authors change and get better with time and she definitely has. 2. Liane Moriarty doesn’t tweet. She has a blog that was last updated in May 2015. But she’s funny and I tell myself she’s offline because she’s creating a new novel and new characters for us to love. I read all her books last year and am eagerly waiting for her next release. She also has 2 sisters who are authors too. 3. 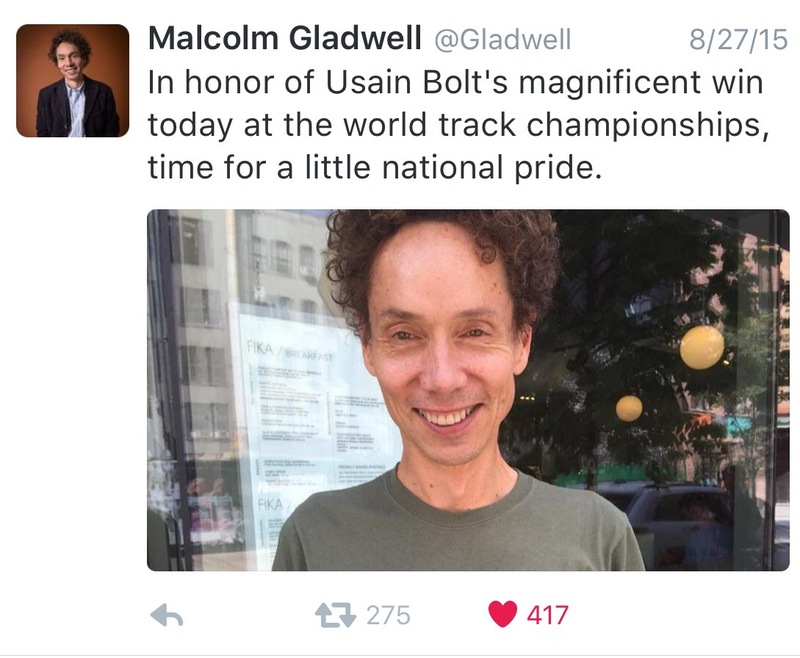 Malcolm Gladwell is funny. 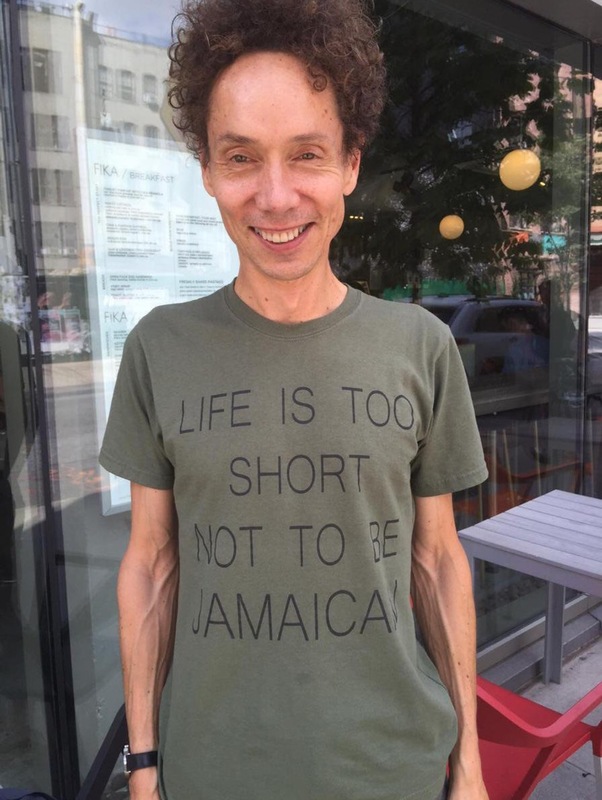 He has Jamaican roots and he’s so relatable. 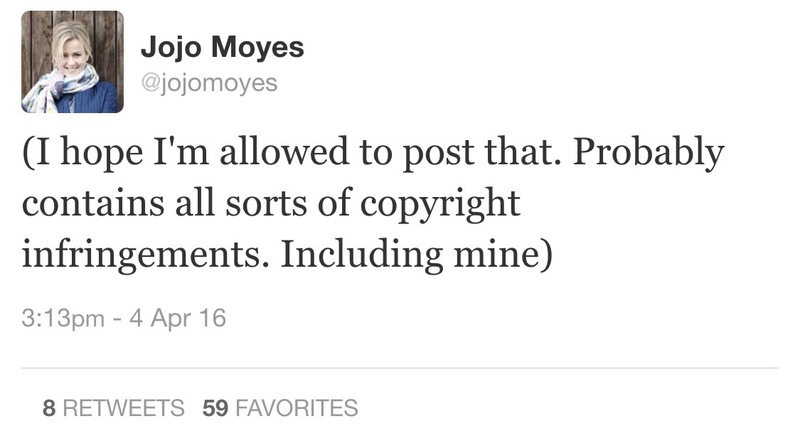 I would like to, at some point, read everything he’s written. 4. 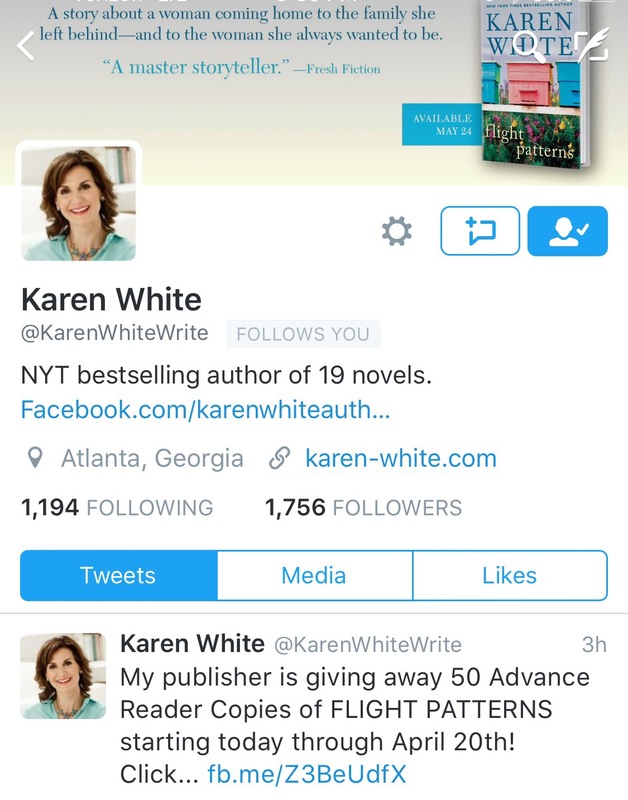 I started following Karen White a few months ago after I read one of her books. I was majorly (is that a word?) impressed when she followed me back and retweeted me. That cemented her place on my authors-I-follow list. 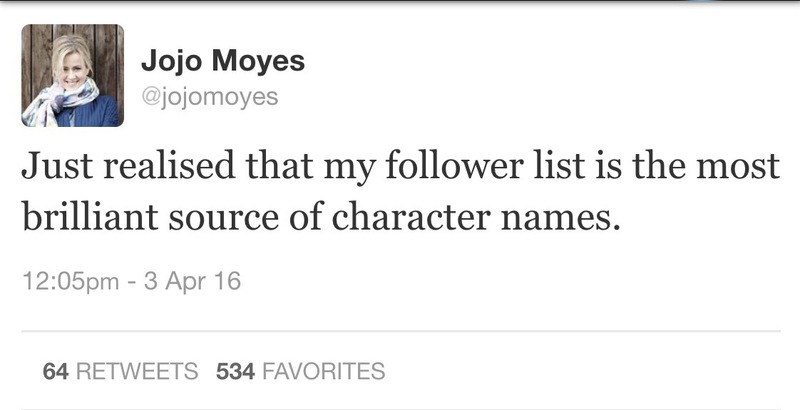 Do you follow writers online? Who? Next Post Do You Need Drugs? Truthfully, I love surrounding myself with authors, conversation is always tons of fun and I just love to learn from them and have really enjoyed my friendships with them all! Thanks so much for this, Kristy. 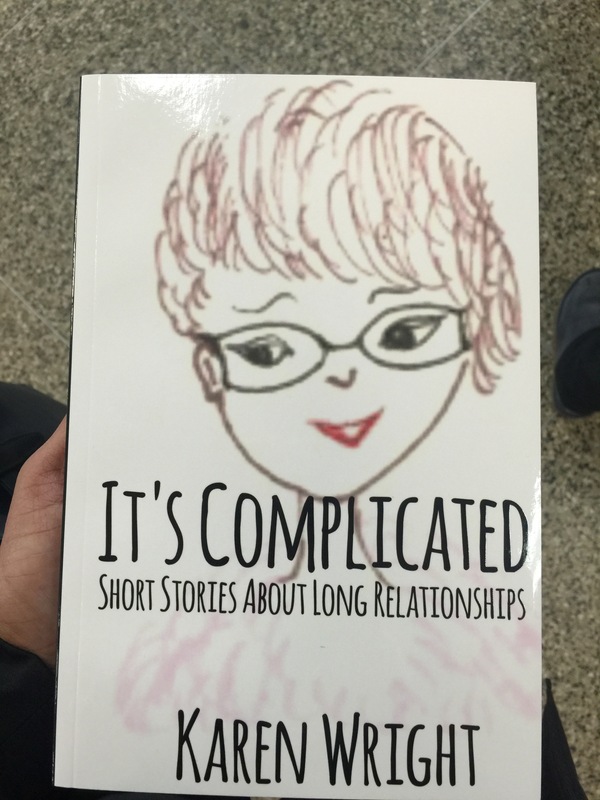 It’s Complicated is not on Amazon yet. Right now, I am selling it through my own site but I will come back to you with the link when it is. The writing group is really an amazing community to belong to. I can’t imagine sitting in a conversation with so many published writers but it sounds like a great opportunity to find mentors and get links. Oh girl congrats!! Ill be purchasing a copy soon. I didnt know you had already published! Thats a hopefully “one day soon” dream for me! Thanks, Kay. I am just pursuing this little dream of mine. I have lots of stories to share so hopefully, there are many other books behind this one.